Equipped with the latest XV25 Stealth Armour these troops are the 'lone wolves' of the Tau army, operating independently of other formations. From GamesDay. 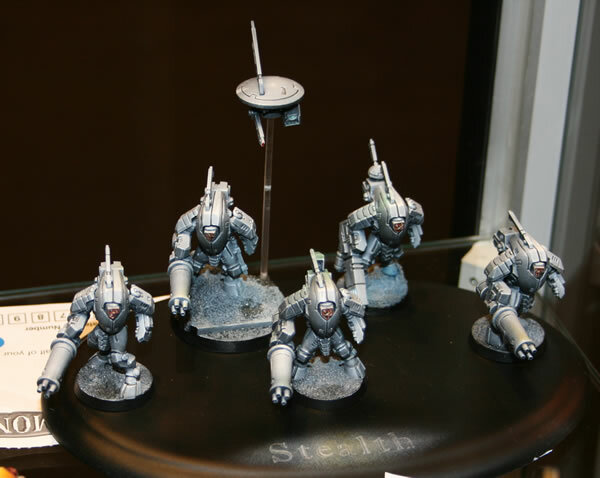 Tau XV25 Stealth Team, an entry in the UK 2009 Golden Demon awards.